String quartets / Peter Sculthorpe. Island dreaming (1996) — mezzo-soprano with string quartet Peter Sculthorpe 11 mins, 21 sec. Little serenade (1977) for string quartet Peter Sculthorpe 2 mins, 9 sec. 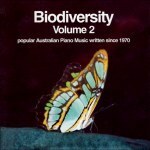 Maranoa lullaby (1996) for mezzo-soprano and string quartet Peter Sculthorpe 2 mins, 42 sec. Saibai (1994) for string quartet Peter Sculthorpe 4 mins, 10 sec. String quartet no. 11 : (Jabiru dreaming) (1990) for string quartet Peter Sculthorpe 14 mins, 33 sec. String quartet no. 12 (From Ubirr) (1994) for string quartet and didjeridu Peter Sculthorpe 11 mins, 14 sec. String quartet no. 14 (1998) for string quartet Peter Sculthorpe 17 min, 20 sec. String quartet no. 15 (1999) for string quartet Peter Sculthorpe 14 mins, 40 sec. Contents note: String quartet no. 11: Jabiru dreaming -- String quartet no. 12: From Ubirr -- String quartet no. 13: Island dreaming -- String quartet no. 14: Quamby -- String quartet no. 15 -- Maranoa lullaby -- Little serenade -- Saibai. Non-commercial recording. For promotional use only. 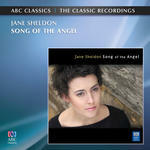 CD: Song of the angel / Jane Sheldon. 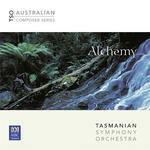 CD: Alchemy / Tasmanian Symphony Orchestra. 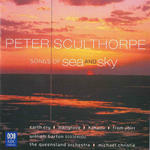 CD: Songs of sea and sky / Peter Sculthorpe.